We have immense pleasure introducing ourselves as leading exporters. We are providing Stainless Steel Plain Socket. The offered bars are manufactured employing high-end technology and well-tested steel in adherence to industry defined guidelines. Apart from this, the entire range is rigorously tested under the strict inspection of our quality controllers. This range can be availed from us in various specifications at market leading prices. Material: Stainless Steel 321, 201, F304, F304L, F316, F316L, 316. We are offering Socketed Fittings are available in different specification to suit the application requirement of the clients. 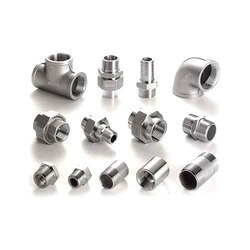 These premium quality SS socketweld fittings are used widely in critical industrial applications. Material Grade: 321,201, F304 , F304L ,F316,F316L,316. 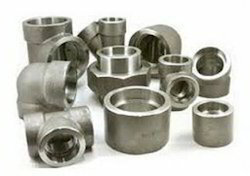 We are the Leading Manufacturers and exporters of Socket Fittings. Backed by a team of highly experienced professionals, we are able to trade Ball And Socket Fitting. We Manufacturer Such R Type and W Clip Type Socket depending upon demands of our customers. We are the most trusted name amongst the topmost companies in this business, instrumental in offering a high-quality array of Box Spanner And Accessories.